Learn a new script, now! 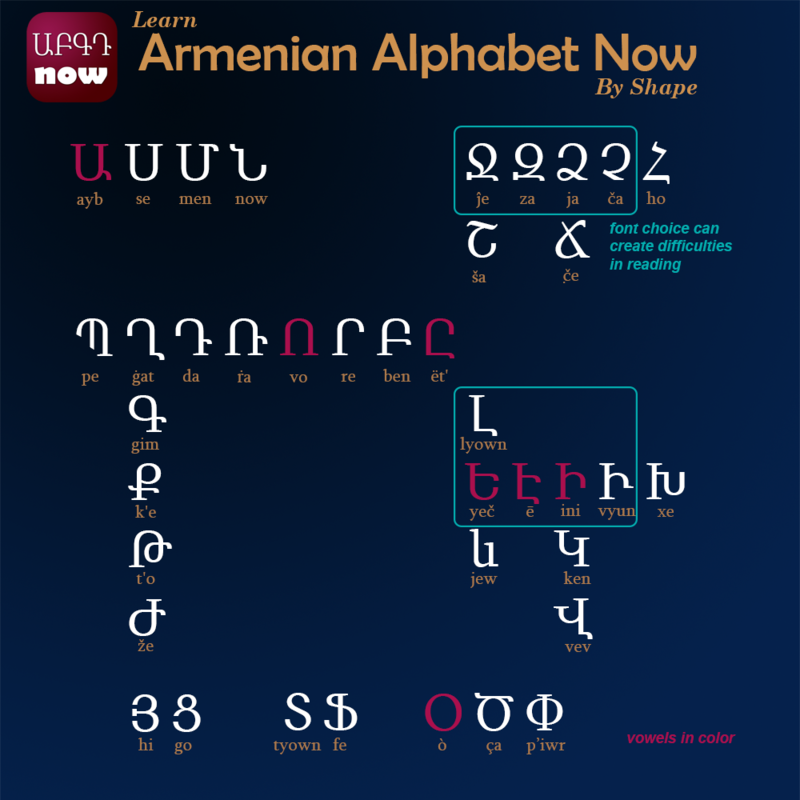 The Armenian alphabet has several letters that have very similar shapes. When we worked on developing the Cherokee app we learned that the difficulty in reading and learning some scripts can be due to a variety of issues. First of all the large number of characters (39!) to be learned and their visual similarities complicate the task. The Armenian alphabet was developed around 405 AD by Mesrop Mashtots, an Armenian linguist and ecclesiastical leader. 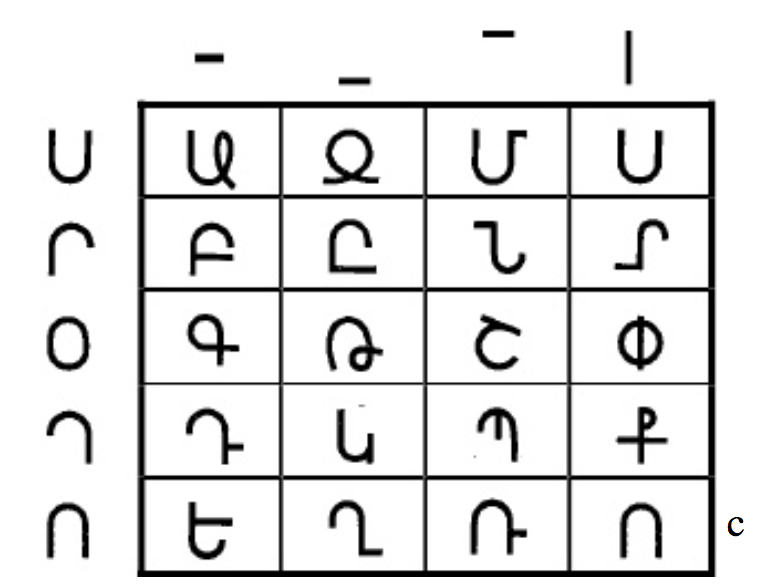 When he developed the letter shapes, possibly from Danielian characters*, they kept some similar features and can be difficult to tell apart initially. 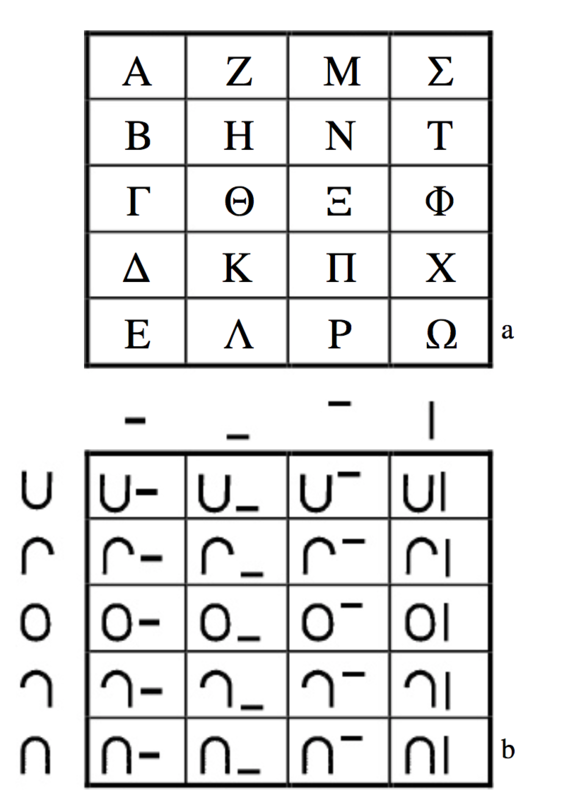 Simplified reconstruction – a) phonetic structures from Greek b) recursive graphical elements (here reconstructed and simplified). Second, modern fonts are not always developed by speakers of a target language and some visual elements like the presence or absence of serifs (those small line attached to the end of a stroke in a letter) can make differentiating characters difficult. 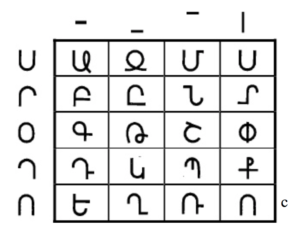 When learning a new alphabet – it is possible to study in alphabetical order, or by common shapes or by sounds. But to able to actively read – it is important to identify the differences between characters. Take a look at the image below. Isn’t easier to see which parts of a letter shape matter in identifying a sound? Coming soon – Our Learn Armenian Alphabet Now App! *as reported by Mouraviev, 1980. 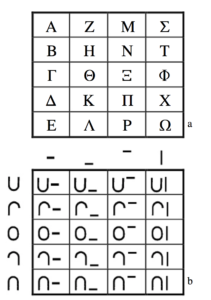 ** see S. Mouraviev, 2007, Les trois alphabets paléochrétiens du Caucase: l’Arménien, le Géorgien et l’Alouanien (articles pour un recueil d’histoire de l’écriture).